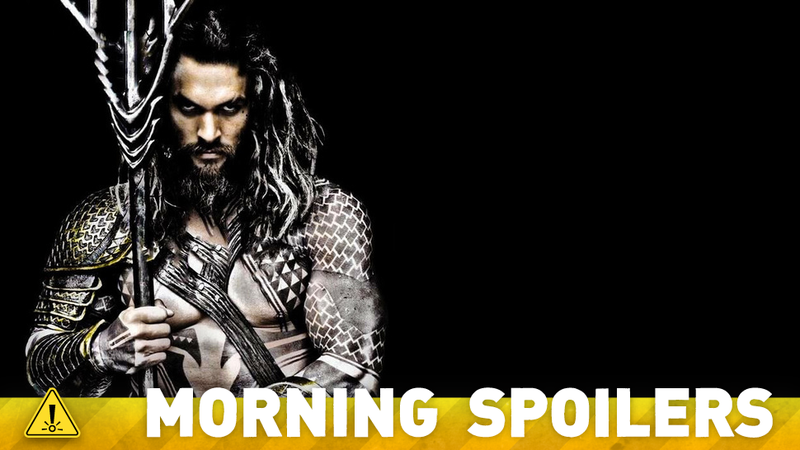 Has The Villain Of The Aquaman Movie Been Revealed? You’ll get a teeny bit more of The Flash and Arrow next week. A new toy might tease some big things for Lex Luthor in Batman v Superman. Plus, new posters for Captain America: Civil War, and new clips from Doctor Who, iZombie, and Agents of SHIELD. Behold, Spoilers! Joblo has posted an extensive series of rumors about the film, claiming that the film’s villain will not be the often-touted villain Black Manta, but instead the Ocean Master. In the comics, Ocean Master is the half-brother of Aquaman who vies with him for the throne of Atlantis. The same report also discusses Mera, Aquaman’s wife, and her role in the film. Mera—who was recently rumored to appear in the Justice League crossover movie—would allegedly not be an idle Queen, but a force of nature whose relationship with Aquaman is closer to that between Max and Furiosa in Mad Max: Fury Road. The site further adds that Warner Bros. is looking to cast a non-white actor in the role. Doctor Strange follows the story of neurosurgeon Doctor Stephen Strange who, after a horrific car accident, discovers the hidden world of magic and alternate dimensions. The Doctor makes an ominous threat in a new clip from “Heaven Sent”. Ravi and Liv tease Clive over Po’ boys in a clip from next week’s episode, “The Hurt Stalker”. And finally, Daisy and Coulson discuss Ward’s path to Hydra in a new clip from “Closure”. Additional reporting by Gordon Jackson and Charlie Jane Anders. Image: Aquaman.